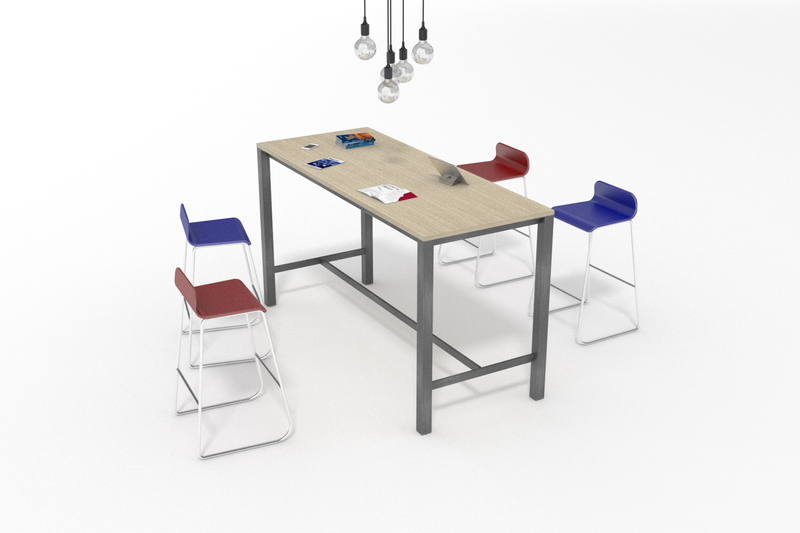 We’re excited to introduce you to our stylish new modular range of K65 team table frames. Designed in Italy, these stunning new table frames are taller in height than regular frames (practical for both sitting and standing in groups), adding both style and elegance to your decor. 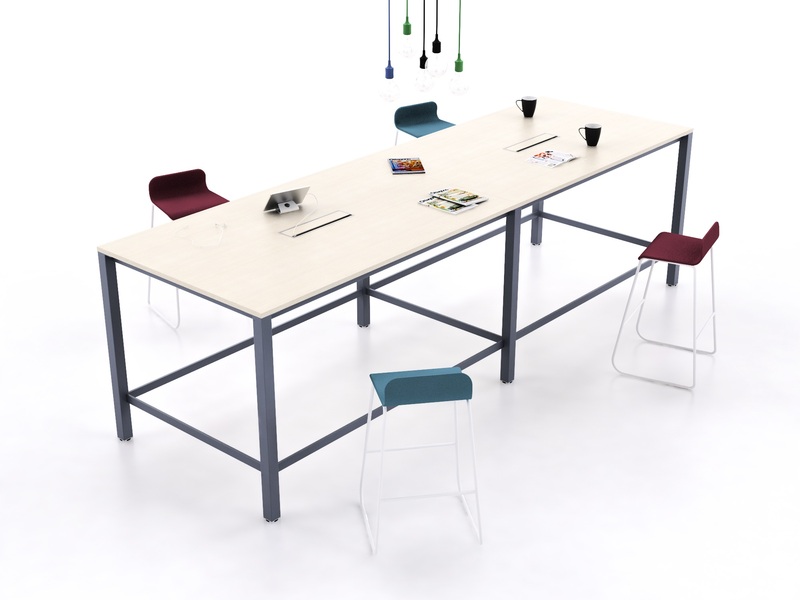 Not only are these team table frames taller than regular frames but they are also highly durable, making them suitable for social spaces and group activities; as school tables, meeting tables, lab benches and a wide range of other social situations where they would be used frequently and for extended periods of time. Another desirable feature is that due to the modular design of the frame system, they can be easily set up in a huge range of widths and lengths, and even daisy-chained with intermediate legs in the middle to create long runs with ease, thus providing for larger groups and social events. These frames are also available in a range of styles and colours allowing you to find the perfect colour match and most suitable style for your table top or room décor. We supply these frames with all of the necessary components, fixings and tools you need to complete your frame. These frames are available to order as a frame only (allowing you to use your own top), or if you require them complete with a top then head on over to our sister company BOX15! We only list a selected number of frame sizes on the website, however due to the modular nature of the frame work, these tall tables can be made to more or less any size. If you have a particular size requirement, get in touch with the sales team who will be happy to assist! Click HERE for contact information. We offer a wide range of colours and sizes but in the event that you cannot see what you are looking for, other special colours (including gun metal grey and Anthracite) and custom RAL colours can be ordered on request (subject to minimum order quantities and longer lead times). If you’d like to find out more, you can view our full range of K65 tall team table frames HERE; or get in touch and we’ll be happy to assist!